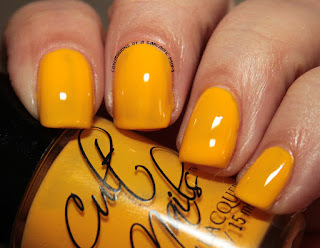 Yellow polishes are typically hard to manage. So when you find a good yellow, you grab it and hold on tight. And buy a back-up bottle when the company closes. Such is the case with me and Cult Nails Feel Me Up, a polish I consider to be the perfect yellow. 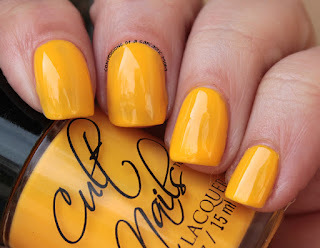 This yellow melts together in two coats for me. The first is a little streaky, which can be expected from any other polish haha But on the second coat, this polish just falls together. It is so bright and cheerful! When I wear it I just stare at my fingers. Do you have this one? Or any Cult Nails? What's your favorite Cult Nails? Do you have a favorite yellow? I'm so happy I was able to purchase the Cult Nails I purchased before they closed up. I met Maria a few years back at Cosmoprof, and she is the sweetest! 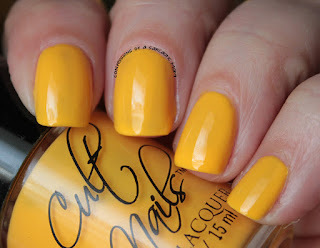 You can get Cult Nails through blog or destash sales, or maybe eBay? 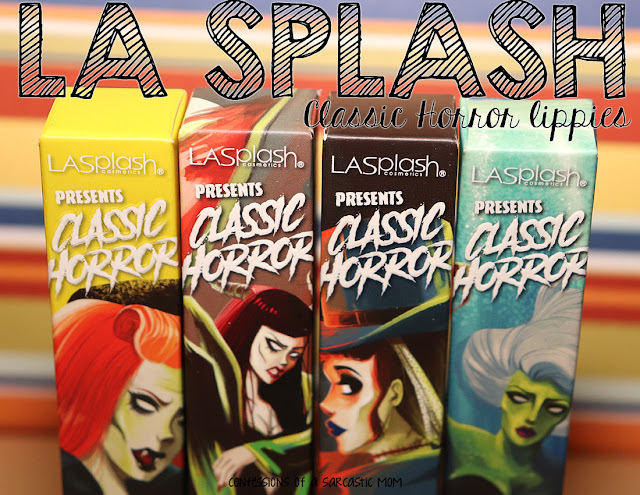 I highly recommend the brand!